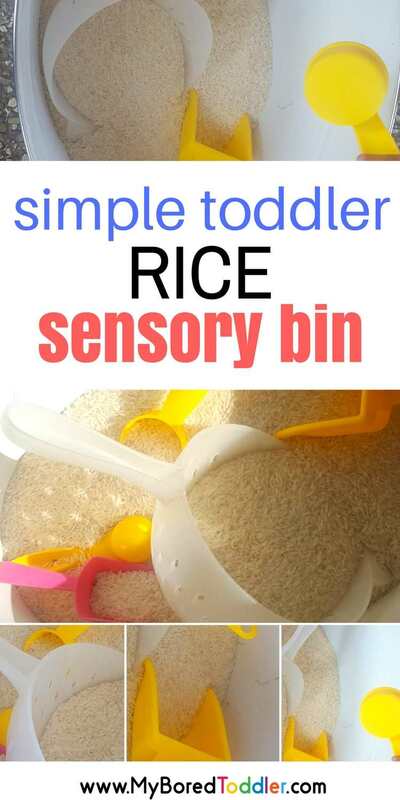 Today we are making a simple rice sensory bin for toddlers. 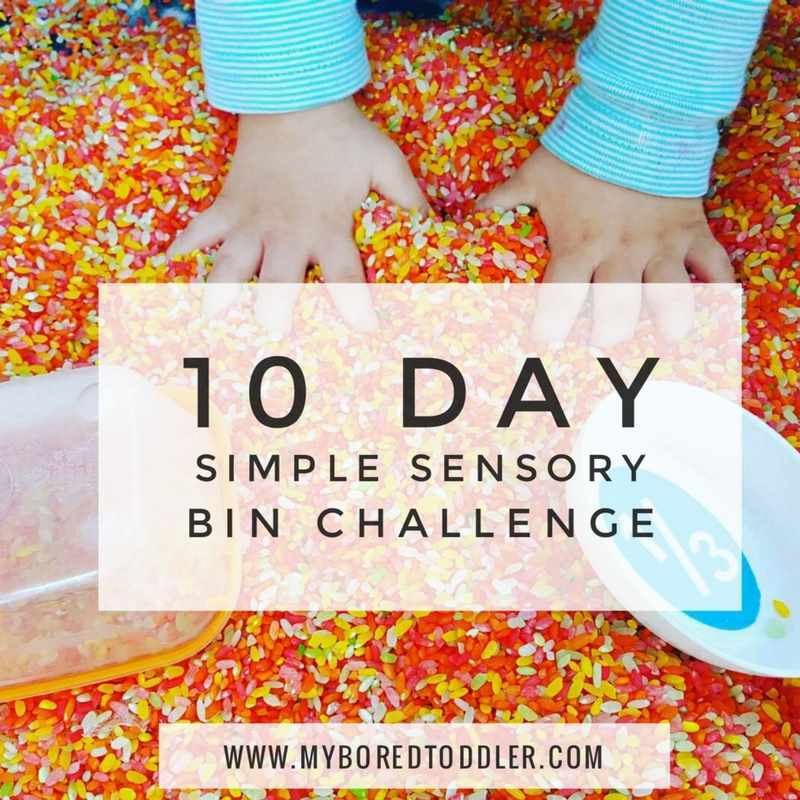 This sensory bin is part of our Toddler Sensory Bin Challenge and we’re up to day 2! 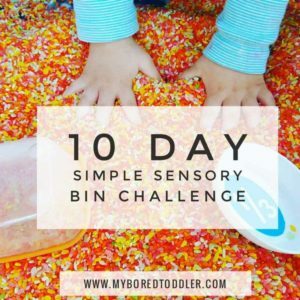 The first day of our 10 Day Simple Sensory Bin Challenge was a great success. 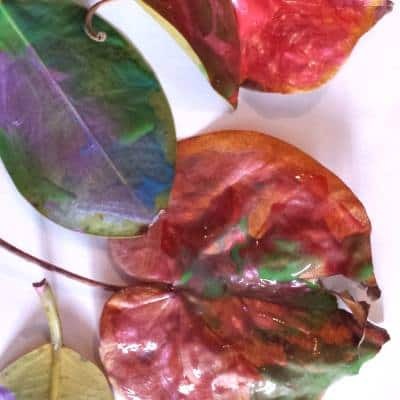 I love seeing all of your pictures that you shared in our Facebook Group and on Instagram (use the hashtag #sensorybinchallenge ) If you missed the first day of the challenge you can catch up HERE. If you haven’t signed up to the challenge yet you can still join in HERE. You can start the challenge anytime – it’s a self paced challenge. 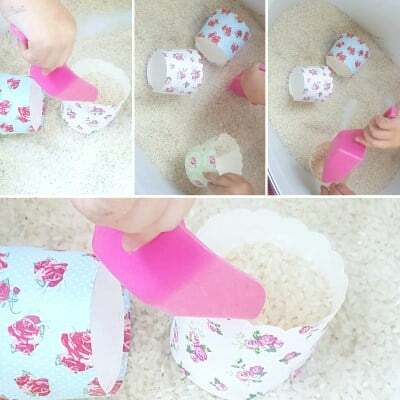 Today we are making a simple rice sensory bin for toddlers – another activity which is really easy to set up. We kept it quite simple yesterday by only using water and today we are going to use another simple sensory bin base. Rice. I always have a big container of colored rice at home and mine has lasted well over a year. Because we are keeping things simple I’m using plain rice today, but if you have colored rice then that’s even better. I will be encouraging you to color some rice later in the challenge! I know some people get a bit hesitant with rice due to the mess (my husband for example! ), but it’s not that hard to clean up. 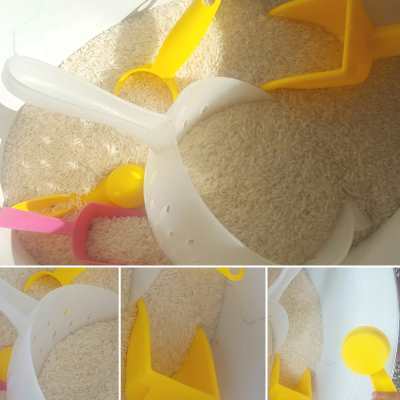 I will often put a picnic rug or mat underneath and then you can carefully pour the rice back into the container at the end. I’m not going to promise you a nice, clean activity though, because …. toddlers!! 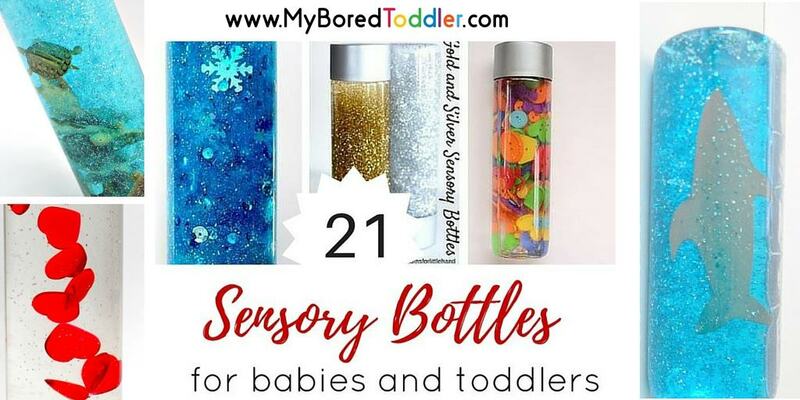 This sensory bin is almost as easy as yesterday’s water one. Fill your container with rice (the amount you will need depends on the size of your container). Like yesterday, having another container to transfer rice to and from is also fun. To start with I encourage you to put in some of the same tools you used yesterday. Scoops, cups, colanders, funnels and containers work really well. 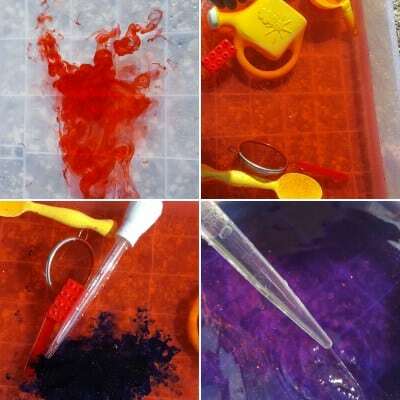 Keep your bin full of these items for a while and then you can mix it up. Be a bit creative with what you add into your box. This is one we did a few weeks ago and the only items I added were a scoop like this one and some cupcake liners (if you buy the silicone ones like these you can use them over and over again). This was played with for almost an hour! 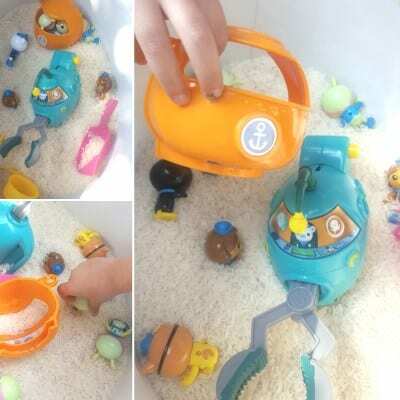 For the second part of our rice sensory bin we’ll be adding toys. Have a think about what toys your child has around the house and add them to the rice. We’re using our Octonauts toys. These toys have barely been played with over the last month and adding them to a new environment suddenly made them fun again! Dinosaurs, cars, little people and ponies all work well too! 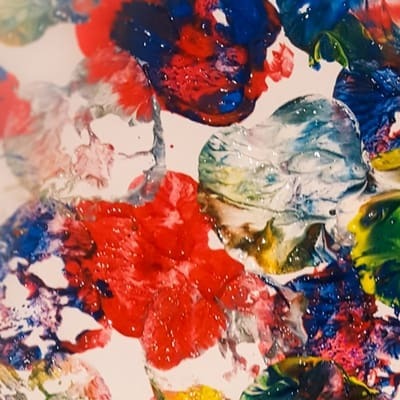 If you missed yesterday’s challenge you can go back and find it HERE or if you can’t wait and want a preview of tomorrow’s task then you’ll find that one HERE.